Apple has officially entered the wearable market upon introducing the Watch last week. We have known a lot about the Apple Watch since its introduction last September alongside the iPhone 6 duo, but there are certain points about this wrist computer that are worth noting before you get to save that hard-earned money. Join us as we list 10 Apple Watch features that could streamline the wearable experience on your wrist. This may seem to be a so-so feature; however, this adds another feather to Apple Watch's cap. You can draw random things and send it to any other Watch users, of course. Hard to admit, but despite all the efforts that the Google has done with Google Wallet, it is still categorized in the "negligible" department. Meanwhile, Apple Watch will support the full-blown Apple Pay payment scheme using its NXP-based NFC chip. In the US, the Apple Watch will be an alternative to your existing credit cards as a swipe-to-pay necessity. 3. Send heartbeats and vibrations to other users. Being the “most personal device” Apple has ever made, you can send real heartbeats to any other Watch users. This feature points to wide-array of medical applications. 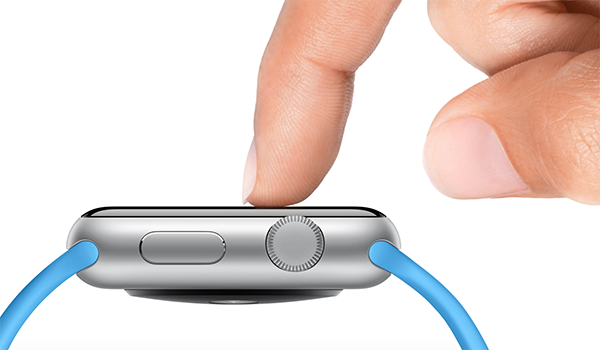 In addition, you can also send vibrations to other users using the taptic capability of the Watch. Example, using a vibrating messages to get another's attention. Seemd pretty legit right? 4. Use Apple Watch to make or receive phone calls. Yes, you heard it right. Apple Watch has a built-in mic and speaker which allows owners to directly make and receive phone calls on the wrist. Of course, you need to pair your device with an iPhone to do this capability. 5. Digital Crown is the crowning feature. While every other smartwatch goes for the touch screen input, Apple ingeniously preserved a classic look of its latest wearable using the Digital Crown. It also acts as a home button and scrolling wheel in one. Knowing that watch interfaces lack a proper screen real estate, the Digital Crown completes the experience for scrolling and pinch-to-zoom functions. Of course, you may also opt for a pure-tap interface in you like. What makes it a big deal for Apple Watch to have WiFi connectivity? The reason is most of its competitors, like Android Wear, lacks the feature. Yes, it can communicate with your iPhone using Bluetooth; but with a positive reinforcement of a WiFi connectivity, your range and speed could be tripled. Plus, you can be connected even when it is not paired with an iPhone. Android Wear, on the other hand, only relies on Bluetooth to do its tricks. Personally, this is what I want to try with the Watch. In simple terms, the Force Touch is a feature that can determine variations of strength applied in the display. This means that a tap applied in different force could have different inputs in the device. Thus, variations of actions can also be done. Just like the iPhone, you can also send audio messages in the device. This works like a walkie-talkie type of communication. Apple has included variety of Watch Faces in the device. And if it doesn't suit your mood, you can just tweak it the way you like. You can add “tid-bits” of information like weather and/or dates shown in your watch faces. The device will also be compatible with Home Automation systems. Opening a smartlock door and adjusting light dimmers are now as easy as tapping your device to its control unit. As long as the system is NFC-based, it can interact with the Apple Watch. Being a late comer, the Apple Watch will have several established competitors in the market. Samsung, for one, has managed to jump-start a Tizen-based wearable platform aside from its Android Wear devices. And speaking of Android Wear, Google has also managed to make several OEMs float above the surface like LG and Motorola. However, Apple has perfected this product line before it was even introduced in the market. And, as far as sales figures are concerned, I am betting that the Apple Watch will sell not just by mere thousands, but millions.